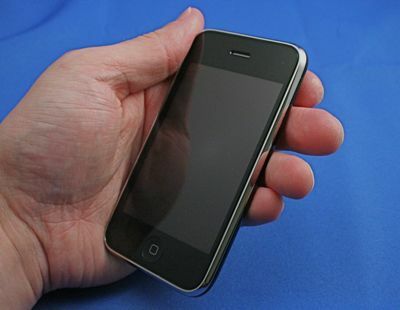 Phone Scoop takes a look at the new 3G iPhone from Apple. See what sets it apart from the original ... and what doesn't. It's been just over a year since Apple's iPhone hit the cell phone scene. Before July 11, about 6 million people from across the country had picked one up. Many of those same people lined up once again for the second version of the iPhone, which brings several new things to the table. Since Phone Scoop has already written a full review of the original iPhone, we're going to focus specifically on what makes this phone different. Those include the new firmware, the iPhone Apps Store, the 3G radio, the GPS radio and the revisions to the hardware itself. Otherwise many aspects of the phone remain unchanged. HTC's mid-range phone has character. It comes with a two-tone finish on the rear that sets it apart from the crowd. If you want a Bluetooth speaker that's small, portable, powerful, and fun, the Edifer MP200 may fit the bill. This simple compact music maker includes a few unique features that set it apart from other inexpensive offerings. Great phone, but I'm still getting the Instinct. At the end of the day, no matter how much you Apple fanboys want to ramble on about the iPhones Browser, MobileMe, multitouch display, or apps, BlackBerry still owns the smartphone market, and for good reason! It's no coincidence that Q1 of 2008 showed BlackBerry taking in almost 50% of the smartphone market share, more than double the iPhone. And that won't be changing anytime soon. iPhones are for kids; people that are serious get BlackBerrys. ...and the instinct is no iPhone. i'll take capacitive multi-touch with safari over resistive crap browser any day of the week. Ok, so let me start by saying I'm the furthest thing from an Apple fanboy. Never owned a Mac, not even an Ipod... until 1 month ago. More on that in a bit. You know... There is an entire forum to discuss the Instinct. Here's the link since you Sprinters can't seem to find it on your own. Please go back to Sprint Users if you wish to play the power-tripping moderator. Hardly sounds improved at all!